The Village of Sparta maintains its own police department which provides policing serivces 24 hours a day, 7 days a week, 365 days a year. The department is staffed by a full time Chief, Andrew Milanowski, five (5) full time officers, and eight (8) part time officers who average ten (10) years or more of law enforcement experience. On top of performing the basic law enforcement needs for the community, the police department also issues hand gun registration and preforms child safety seat inspections. 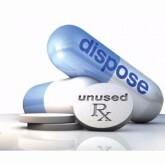 Dispose of expired or unwanted prescription drugs! 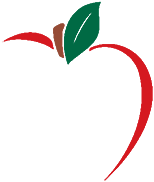 Did you know the Village of Sparta provides a Safe Prescription Drug Drop-Off program to the community? Residents can drop off unused or expired prescriptions into a secure box - no questions asked. The drop off location is in the lobby of the Sparta Police Department at 260 W. Division St. Sparta, MI 49345. Police officers will check the boxes daily, collect the contents and prepare for disposal that is eco-friendly and in accordance with Federal and State laws. If you have any additional questions please contact the Sparta Police Department at 616-887-8716.